Blashie Cottage is situated 2 miles to the east of Dollar and 500 metres to the north of the village of Blairingone in the beautiful Ochil Valley. The Highlands, Loch Lomond, Edinburgh and Glasgow are less than an hour away with Stirling and Perth only 30 minutes by car. The view from the cottage is stunning and it looks down the Ochil Valley to the Trossachs, 40 miles away. The cottage is located on the private estate of Ardean and visitors can walk on the many routes across the farm and also the two mile Millennium Walk. It is possible to play tennis (with prior agreement), shoot clay pigeons and pheasants (12 months notice) and fish for trout on the River Devon so there is lots to do on the estate itself. The surrounding area is rich in historic sites and attractions and within 30 minutes are Stirling Castle, the Wallace Monument, Bannockburn Battlefield, Alloa Tower, Castle Campbell, Kinross House and gardens, Loch Leven with boat trips to the island, Falkland Palace and Scone Palace. 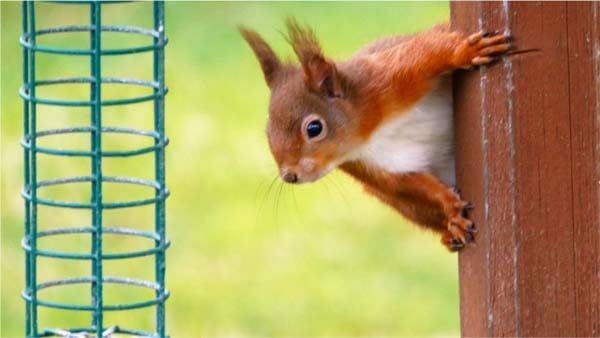 For children, there is Blair Drummond Safari Park near Stirling and Deep Sea World at North Queensferry. There are 10 golf courses within 15 miles of Arndean. Muckhart is on the edge of the estate and the golf course at Dollar is only 2 miles away. Within an hour's drive there are 6 championship courses including St Andrews, Muirfield, Kingsbarns, Gleneagles, Carnoustie and Loch Lomond. The area is also a paradise for fishermen with many lochs, rivers and fisheries within easy access. The River Devon flows through the estate and trout fishing can be booked through the farm office. There is also excellent trout fishing available on Loch Leven and there is some of Scotland's very best salmon fishing within 30 minutes drive. In season, shooting can be arranged on the estate or in the local area. For walkers, The Ochil Hills run for 20 miles from Stirling in the West to Muckhart in the east and rise to over 2,300 feet with some stunning views of Central Scotland and the Highlands. Several Munroes are within easy distance and a day spent on the hills can be just ideal to lift the spirits. For skiers, the Glenshee slopes are 2 hours drive and there are two dry ski slopes within easy reach, Tillicoultry and also Hillend in Edinburgh both with instructional classes and ski hire. For the more adventurous, there is a paragliding centre in Menstrie, 5 miles away, and instruction is available for all ages and levels of abilities. Also, the Scottish Off Road Driving Centre is near Gateside, 15 miles away. Retail therapy is on hand with the nearest shops in Dollar 2 miles away. There is a designer outlet at Tillicoultry (4 miles) with Edinburgh and Perth within easy driving distance. The famous House of Bruar is 45 miles to the north and well worth a day trip. There are two excellent restaurants within 3 miles and six within 10 miles. There are excellent pubs in both Dollar and Muckhart (2 miles) and two take-away restaurants in Dollar - perfect if you don't want to cook on your self-catering holiday! This single storey barn has been recently converted and completely refurbished to offer extremely comfortable self-catering accommodation. The entrance hall leads into a cosy living room with open fire - ideal for relaxing in front of after a day on the golf course or walking in the Scottish hills. There is a fully fitted kitchen/dining room which has a door out to the garden - perfect for dining al fresco or just sitting out and admiring the view over a cup of coffee or a glass of wine. 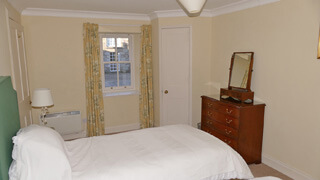 The three bedrooms are all tastefully decorated: one is a double room and the other two have twin beds. There are two bathrooms: one bathroom with bath and over shower and one shower room each with basins and WCs. Outside there is an enclosed garden with table and chairs for 6 and ample car parking space for 3 cars. 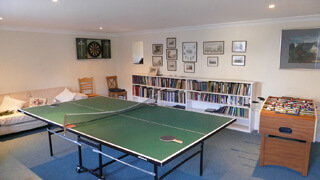 There is a shared games room with table tennis table, darts board and football game - children just love playing here! 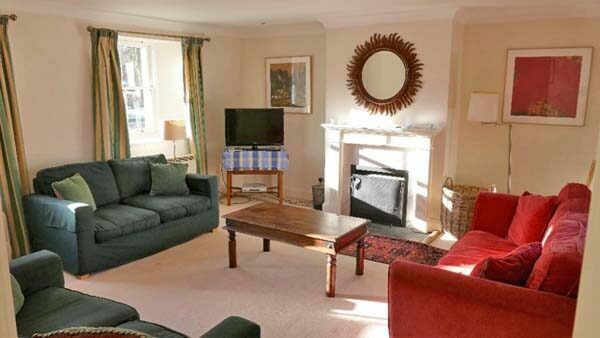 Dollar is 2 miles, Edinburgh is 30 miles, Glasgow is 35 miles and Perth is 25 miles - this self-catering cottage is ideally situated for exploring much of Scotland. 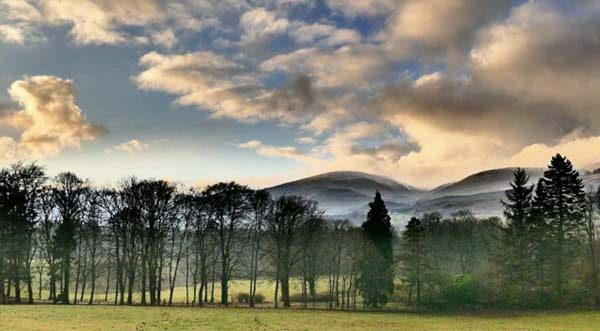 Arndean estate is a wonderful place to stay and explore this beautiful part of central Scotland. Blashie Cottage is located at the Mains of Blairingone. The easiest route to the cottage is off the A977 which links the Kincardine Bridge with Kinross. From the Kincardine Bridge you stay on the A977 until you enter the village of Blairingone (approx 6 miles). You take the road to the left signposted "Vicar's Bridge" and go down the road for about 500 metres, round a sharp corner to the left and the Mains is the steading conversion on the left hand side of the road. You take the first turning, before the buildings, signposted Arndean Holiday Cottages, into a car park. Blashie Cottage is the single storey cottage on the right. 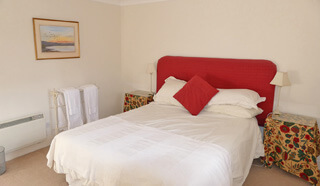 Bed linen,towels and logs are provided. Electricity is metered and paid for at end of the visit. 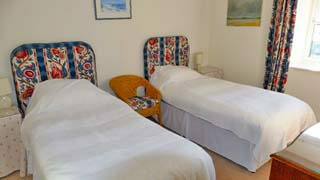 The vacation cottage is rented out throughout the year. Change over day is Friday - check in from 15.00, check out 10.00. Short breaks are available. A short break is up to 3 days from Fridays or 4 days from Mondays. 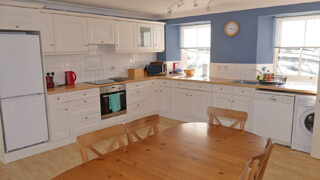 This delightful cottage for 6 is ideal for a family holiday in Scotland - children particularly love the games room! With a central location you can explore much of Scotland and Edinburgh and Glasgow are easily reached - of course there's lots to see and do nearby too and the beautiful estate is a perfect place to relax if you don't want to move far!